Seyi presses enabled with precision Transmission system i.e. Ground Gear, Crank Shaft, Balanced Flywheel & Wet clutch-brake. Transmission system ensures low noise, smooth working, Long life & efficient working of press. You’ve always counted on SKF bearings to keep your equipment running. Now you can count on us for something else that’s critical to your operation: a new line of Power Transmission Products, from belts to pulleys to chain drives. 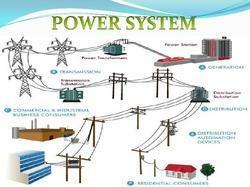 Power transformers are static power transmission equipment designed to translate voltage from one level to another. 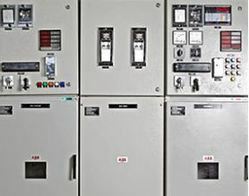 According to Indian industry, a power transformer should have a primary voltage rating of 33 kilovolt (KV) and above. 19" technology is the space-saving standard for bundling data from external stations in the control room. Our extensive portfolio for standardized 19" technology provides everything you need in order to make the collected process data available centrally for processing. The Company has provided a Full-range of EPC services for high voltage cable transmission and distribution. We offer a broad range of power transmission products for automotive, aerospace and general industrial applications. From gearing products and gearbox assemblies to finger followers and precision shafts, we have the products you need to power your application.